​S.H. 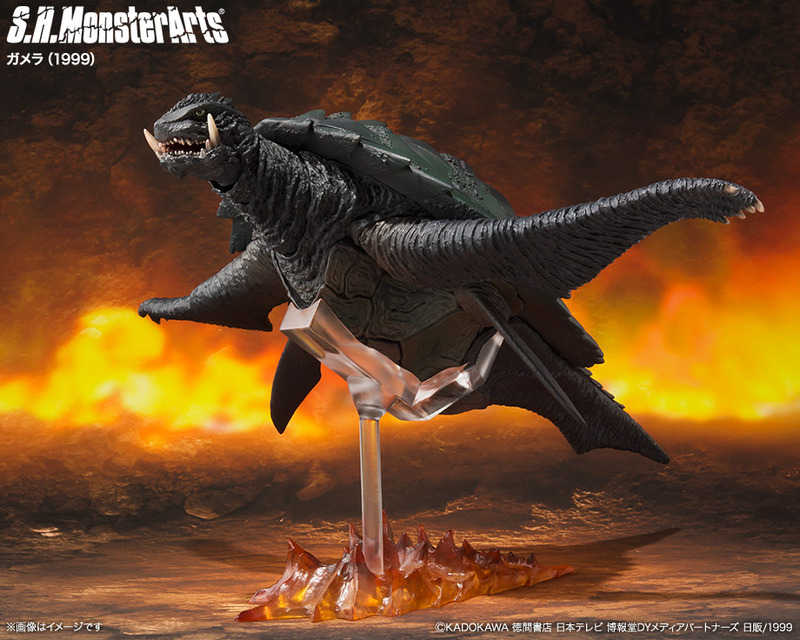 MonsterArts is a line of figures made by Tamashii Nations, the collectors division of Bandai Japan. 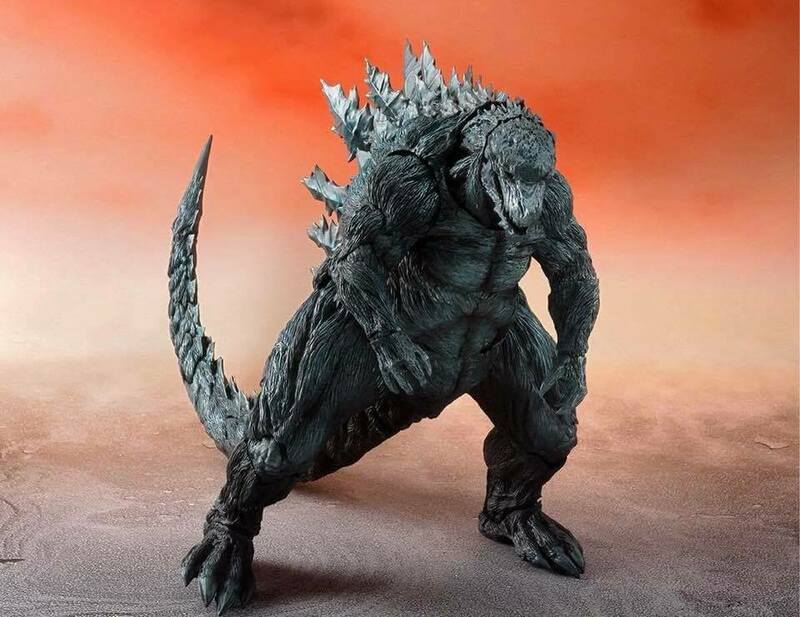 Started in 2011they are highly detailed figures that feature multiple points of articulation, including many Godzilla monsters, as well as Gamera, and Kong. 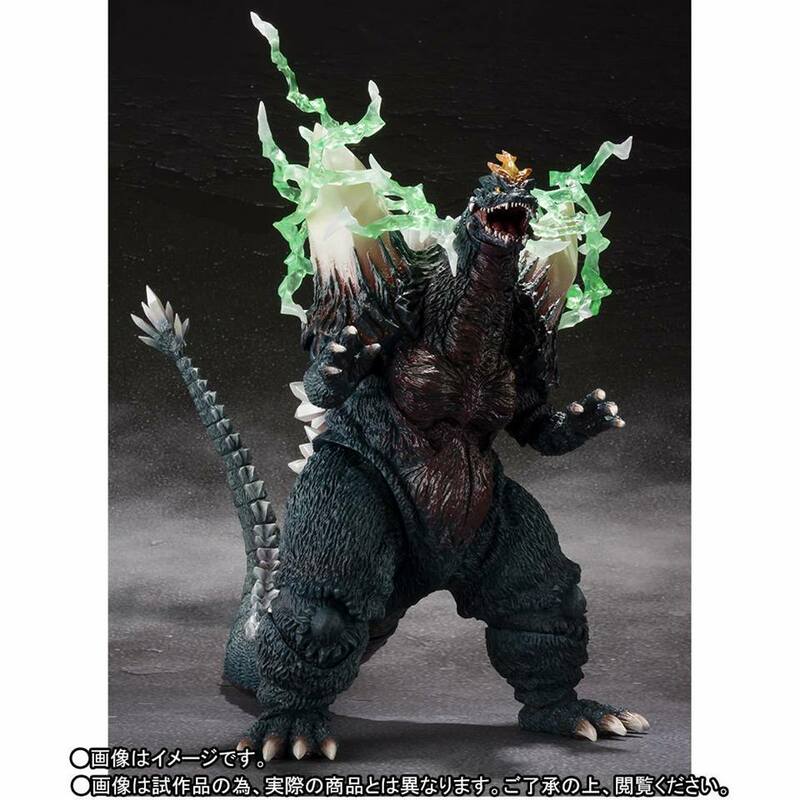 A number of figures are Tamashii Web Shop exclusives but can also be available through third party retailers. 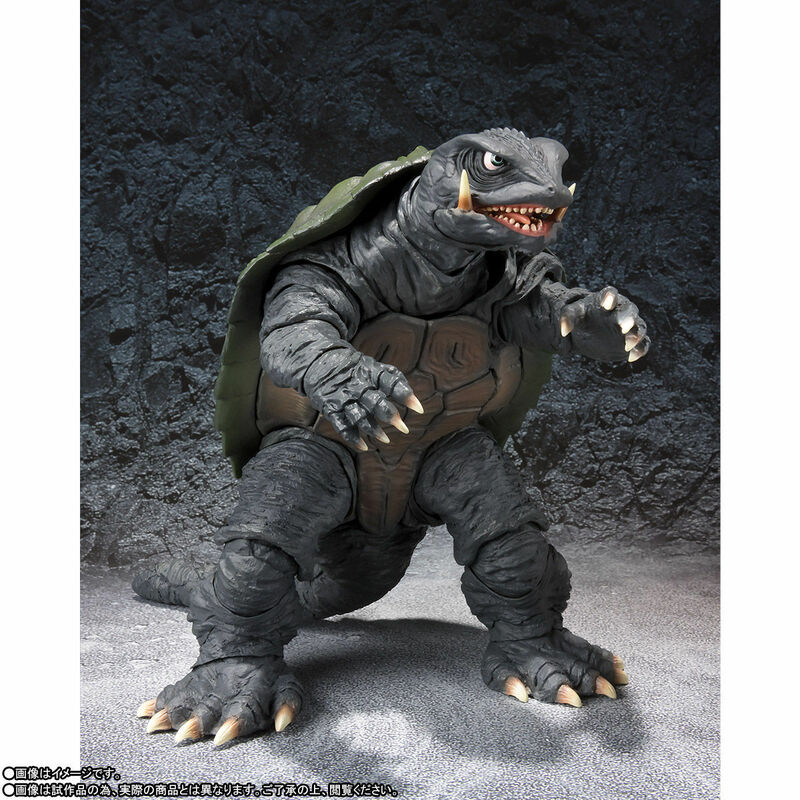 Many of the figures have been sold in the US through BlueFin Distributors. This section features all figures beginning 2018. 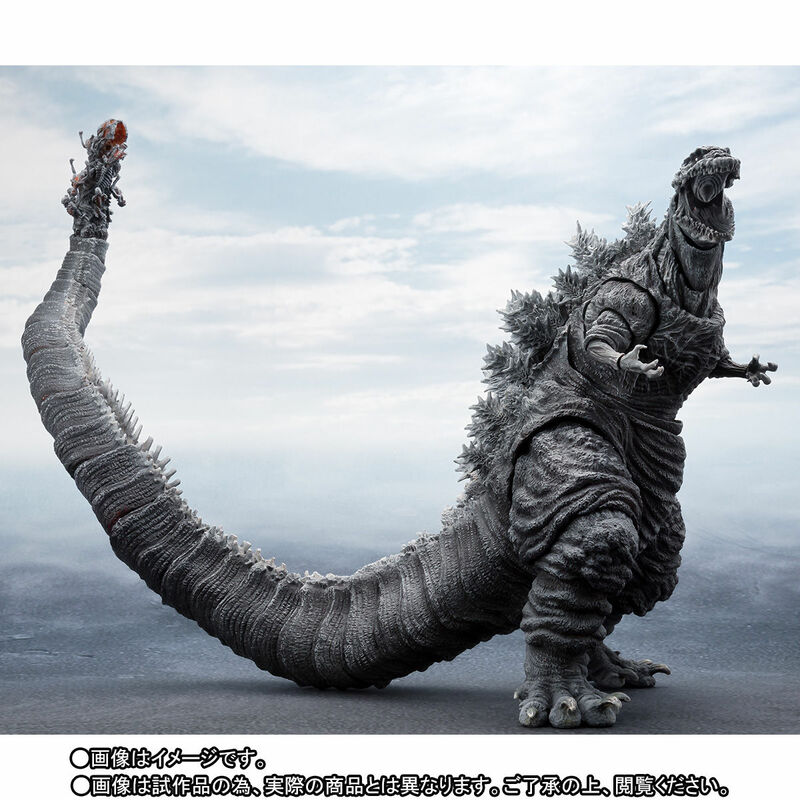 ​This figure will be released Jan 2018, it stands 15.5cm tall. 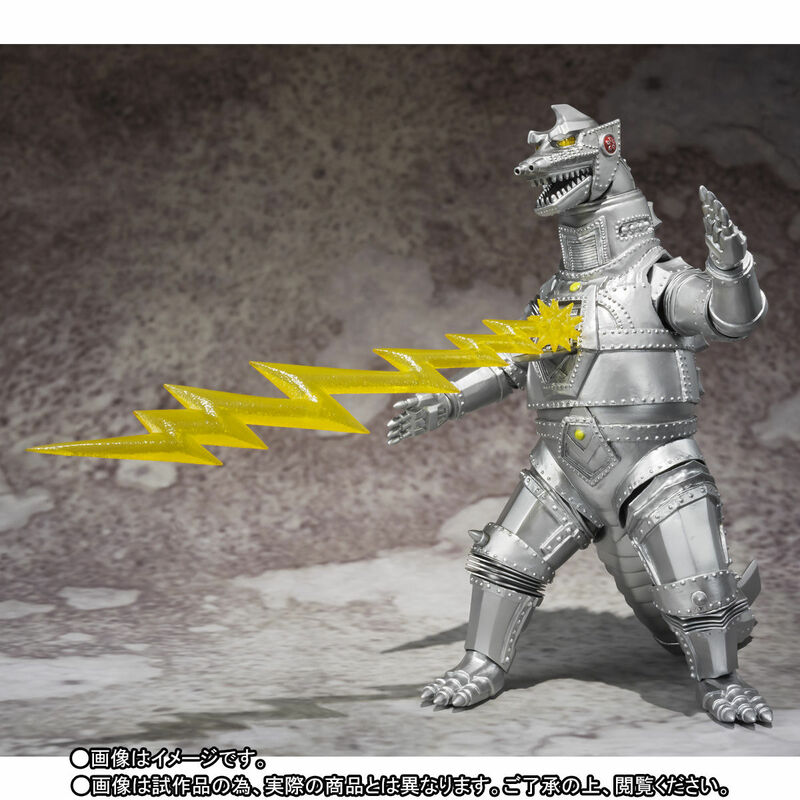 It comes with a beam effect, and extra hands. 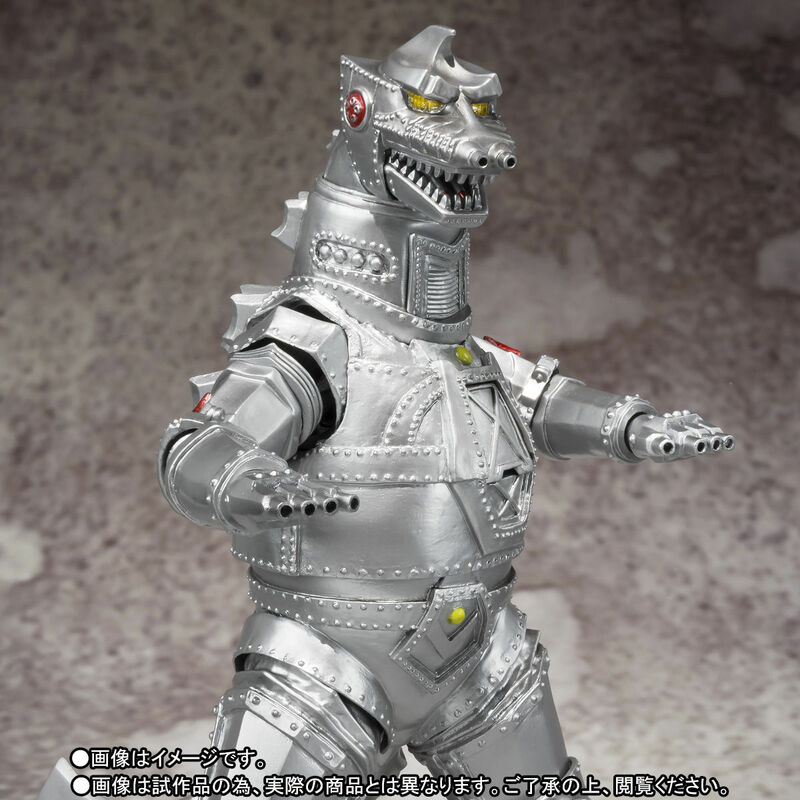 This is a Tamashii Web Shop exclusive. 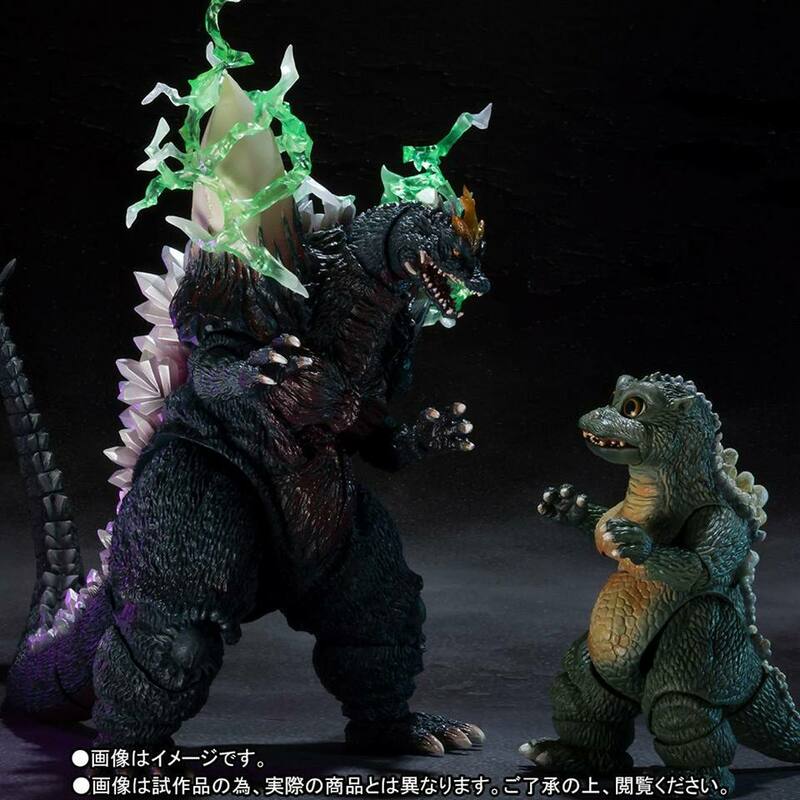 ​This set will be released Feb 2018, both figures are the same size as the previous releases, 16.5cm for Space Godzilla and 9.5cm for Little Godzilla. 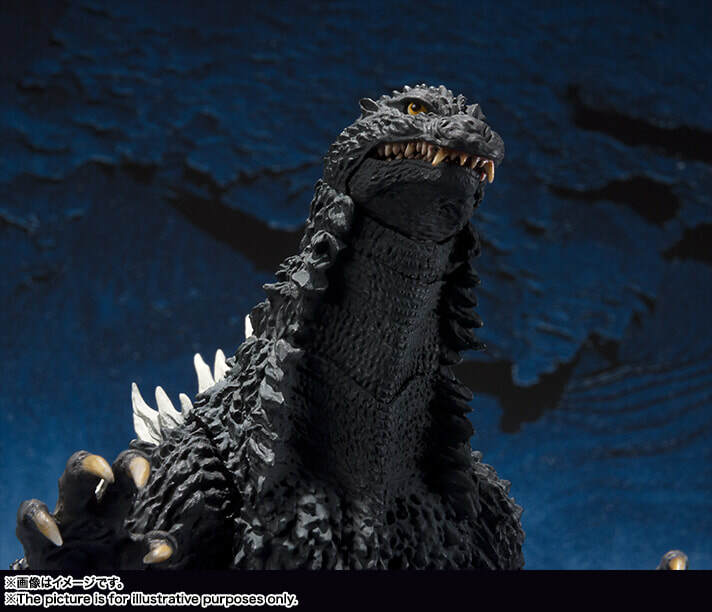 Both figures have a darker color scheme as well as a new effect for Space Godzilla. 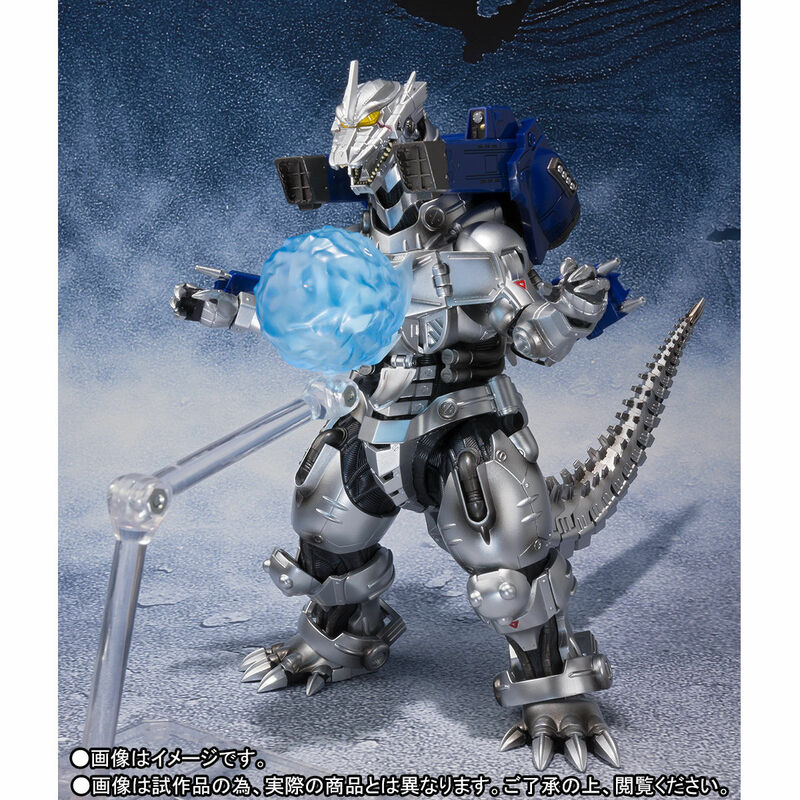 ​This set is a Tamashii Web Shop exclusive. 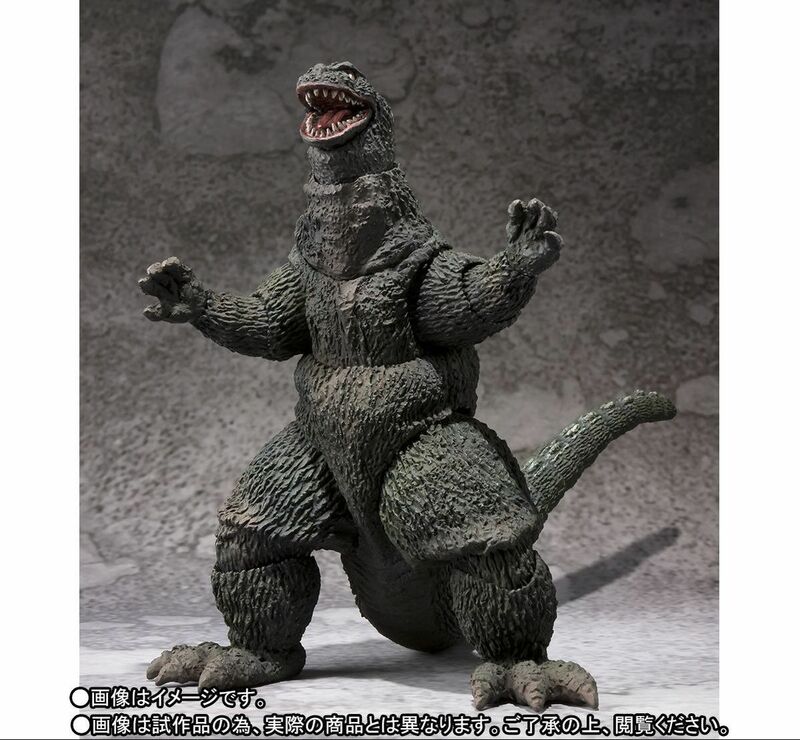 ​This figure will be released April 2018, it stands 15.5cm tall. 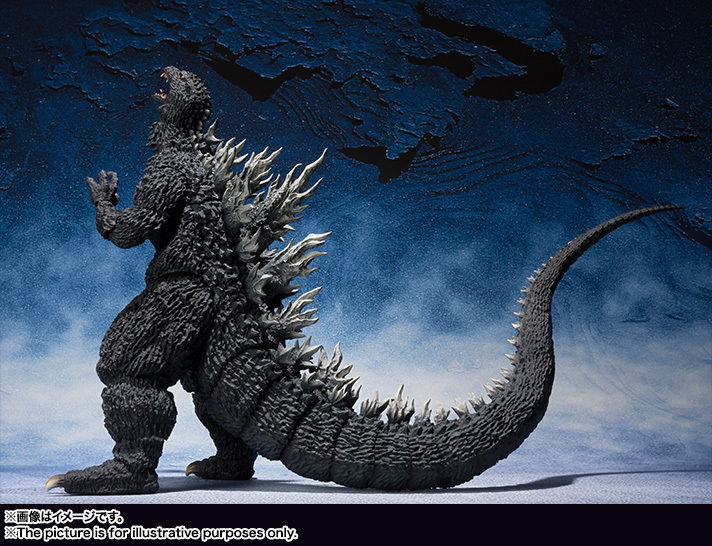 This figure is a Yuji Sakai sculpt and is a general release. 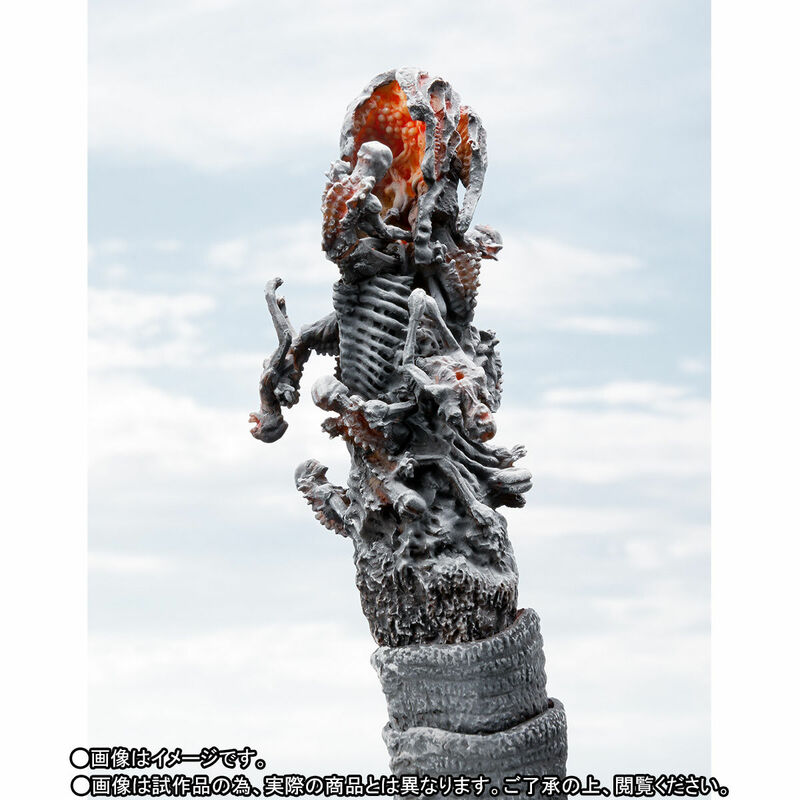 ​Shin Godzilla 4th Form Frozen Version will be released July 2018, it's 18cm tall and 40cm in length. 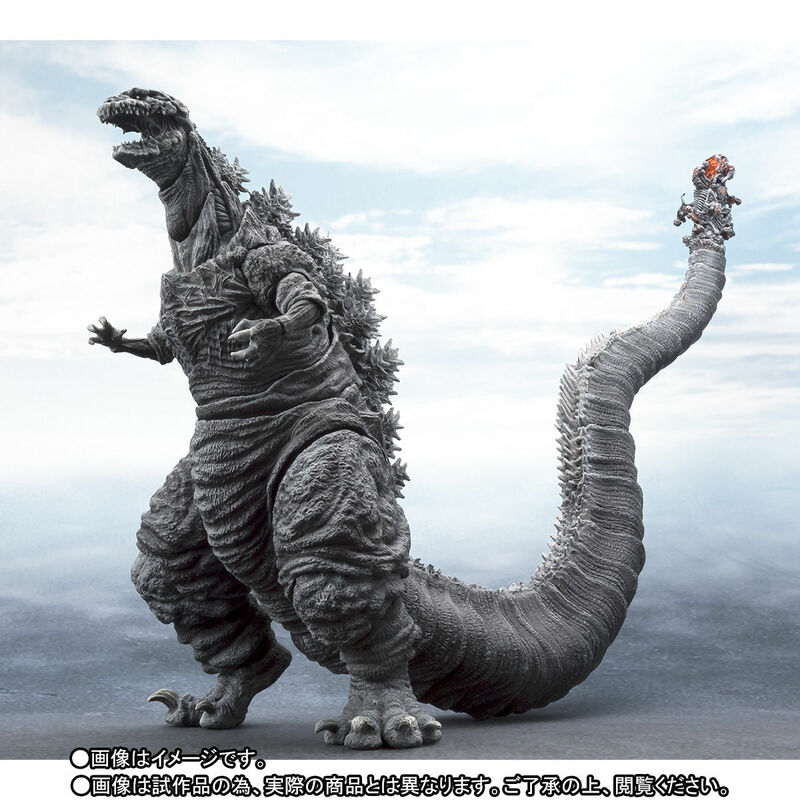 It features a different color scheme then the regular version and a new tail designed by Takayuki Takeya. 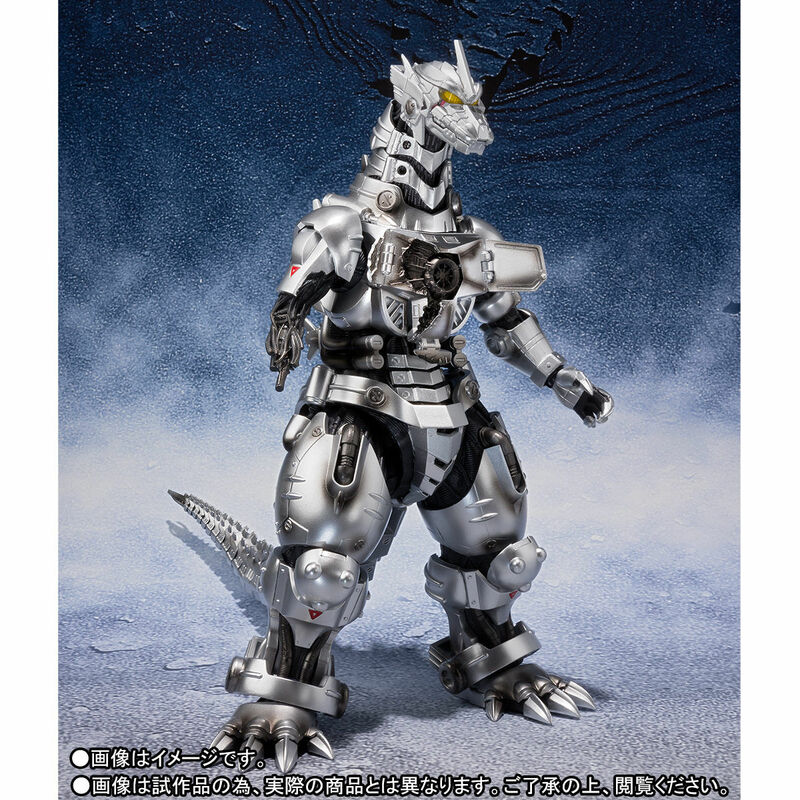 There are no accessories with this figure and it is a Tamashii Web Shop exclusive. 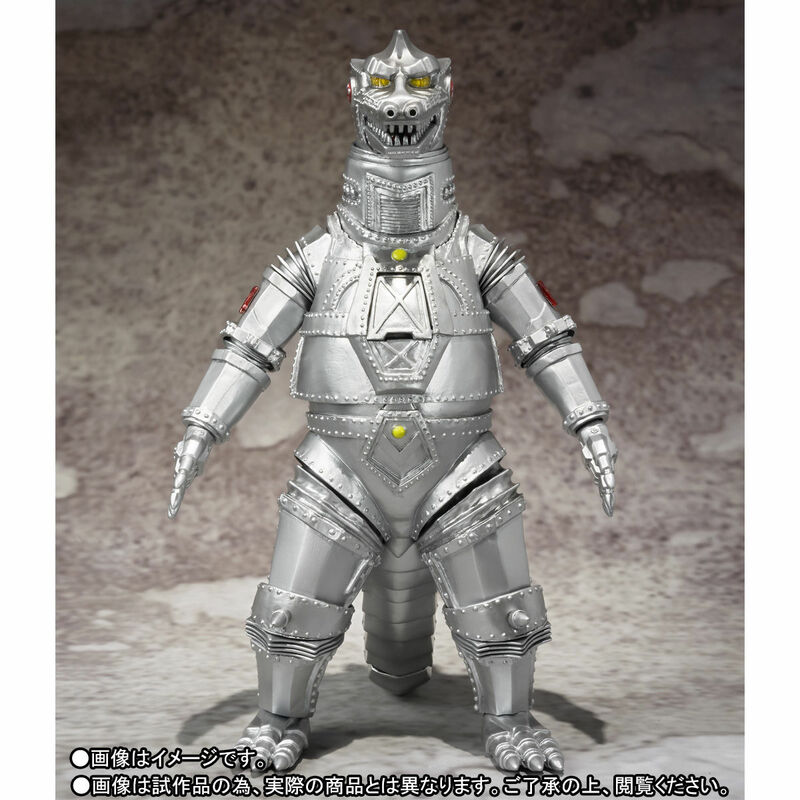 ​This figure will be released Aug 2018, it stands 16cm tall. 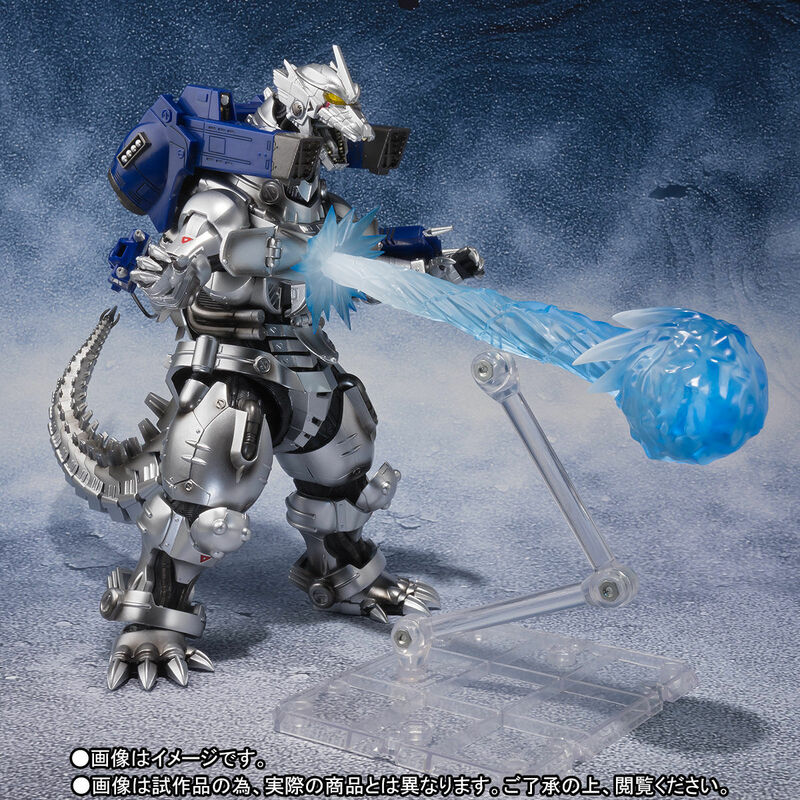 ​It comes with Maser blade, rail gun unit, back unit, two types of replacement heads, Absolute Zero effect parts, damage reproduction parts (arm, chest), effect base seat. 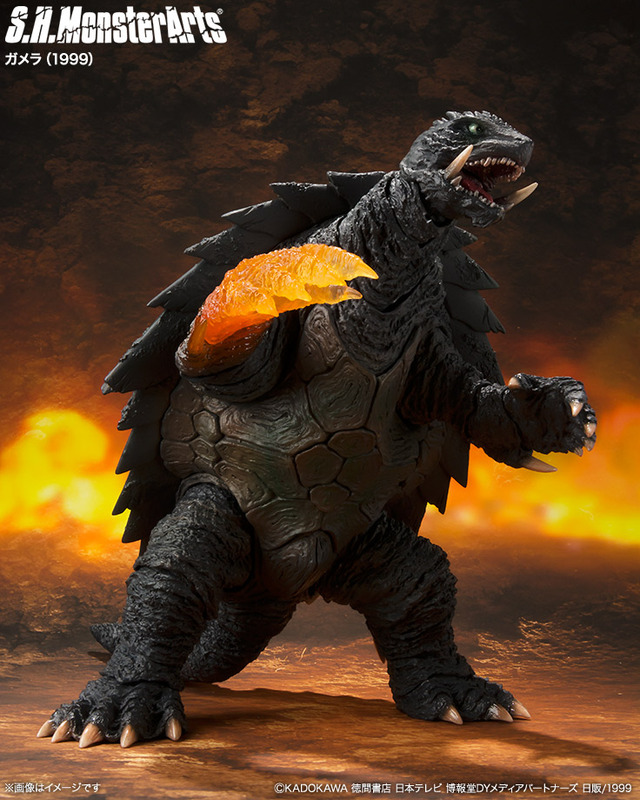 This figure is a Tamashii Web Shop exclusive. 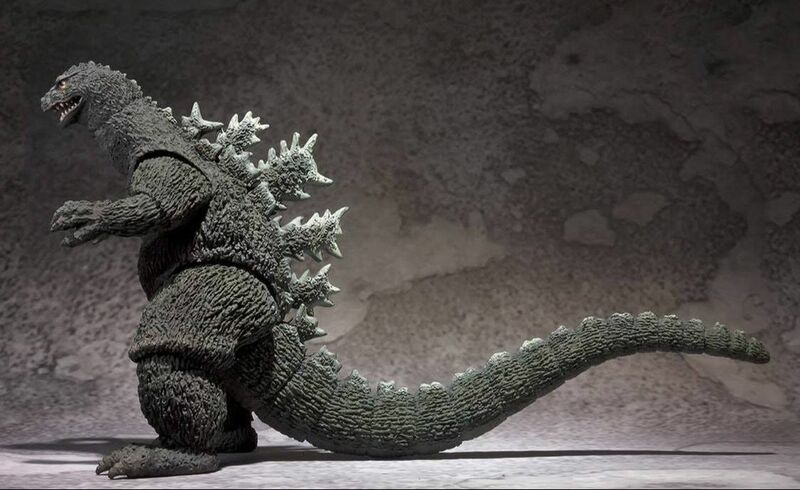 ​This figure will be released Oct 2018, it stands 17cm tall. 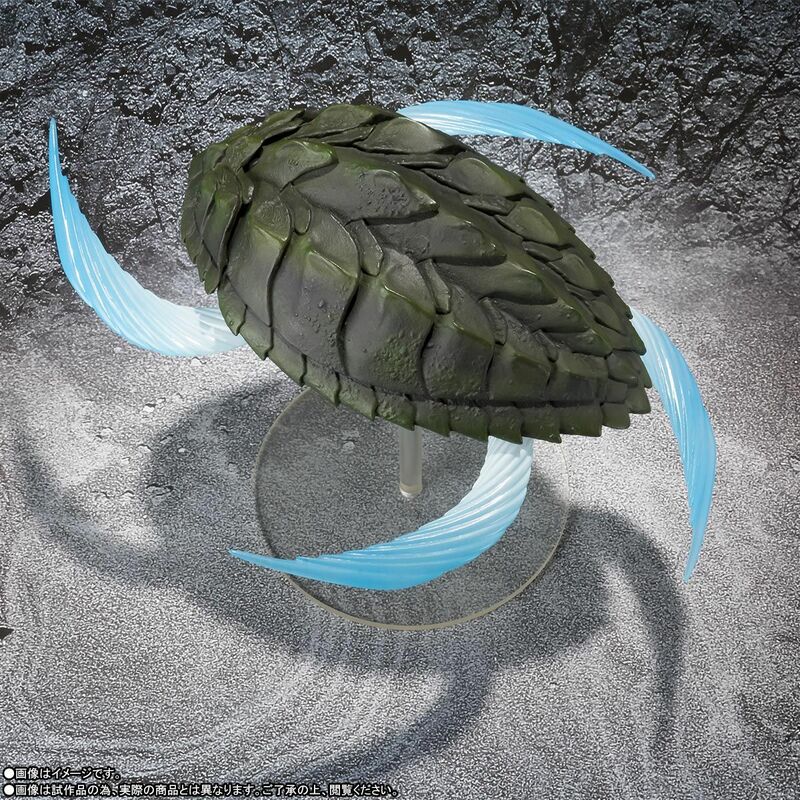 It comes with a landing craft (5.5cm in size), his filius (son, 2.5cm tall), and a stand for the craft. 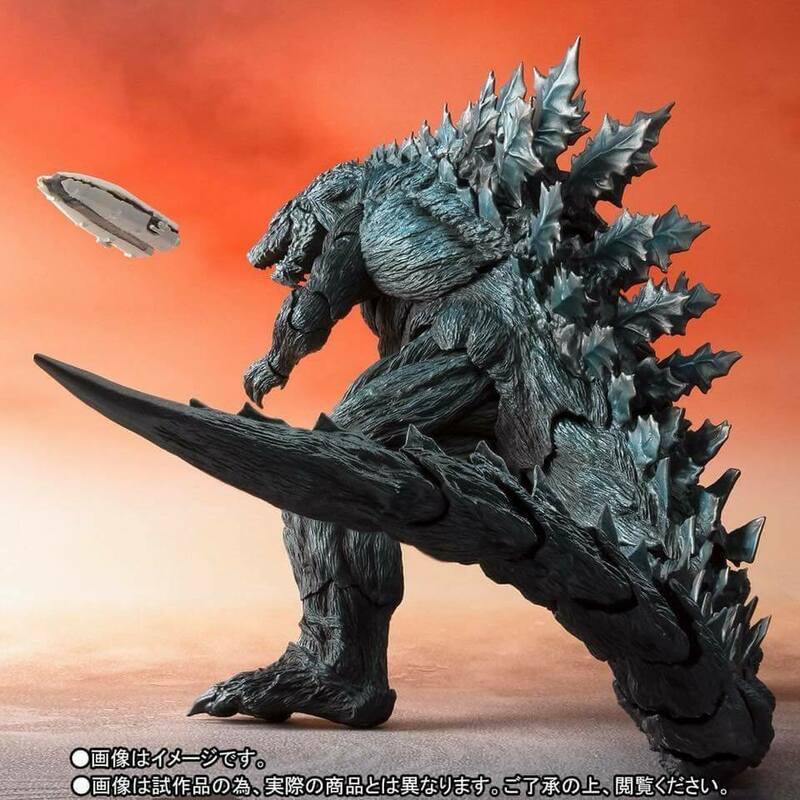 It will be released by Bluefin in the US in Nov 2018. 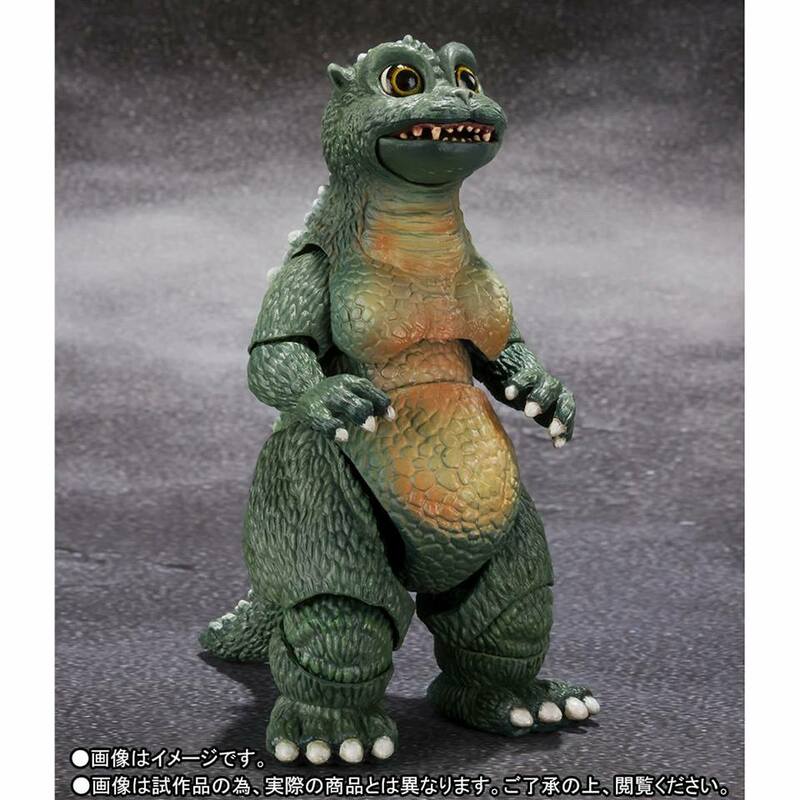 This figure differs slightly from the previously released version. 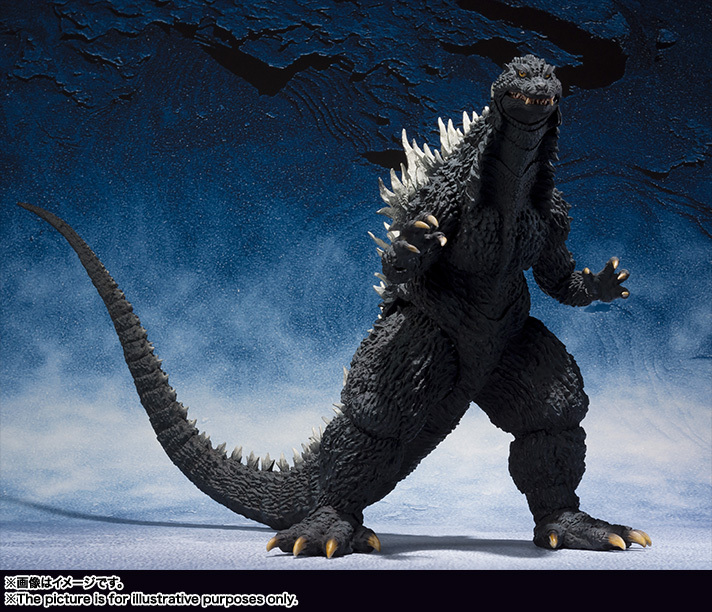 ​This figure will be released Dec 2018, it stands 16cm tall. 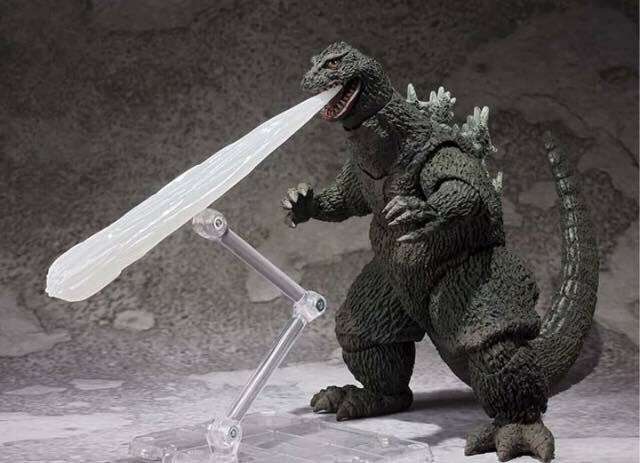 It comes with a breath effect and stand for effect. 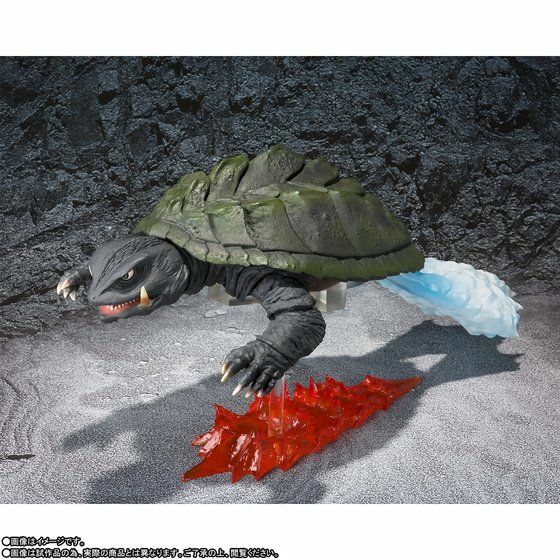 ​This figure is a Tamashii Web Shop exclusive. 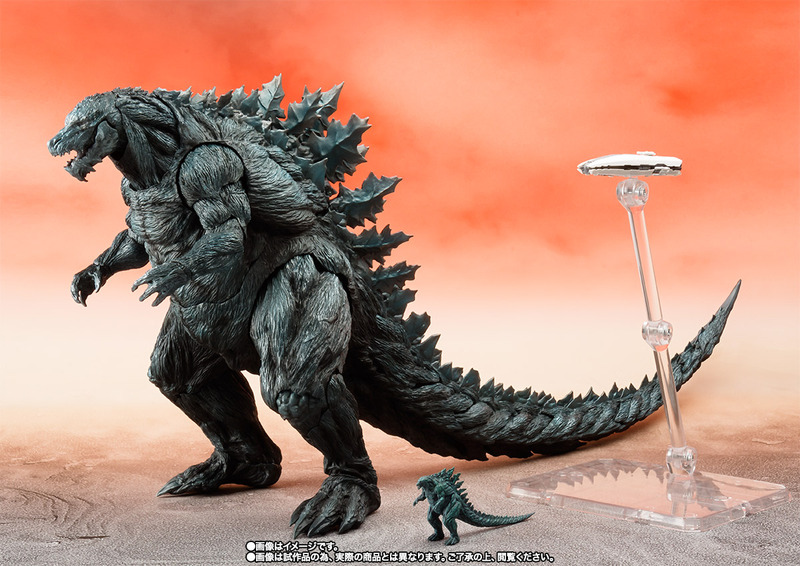 ​This figure will be released Aug 2019, it stands 14cm tall. It comes with both regular flight parts and rotating flight parts, and stands for both. 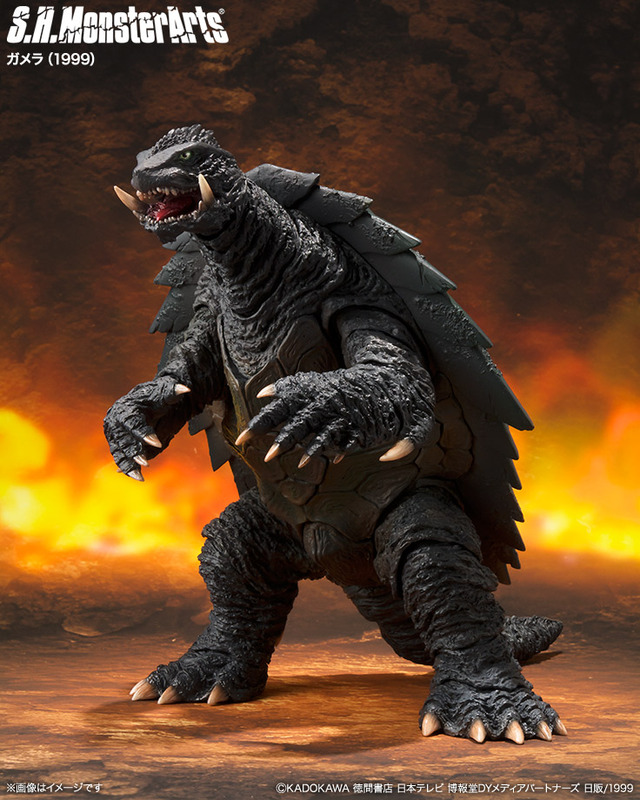 This figure is a Tamashii Web Shop exclusive.